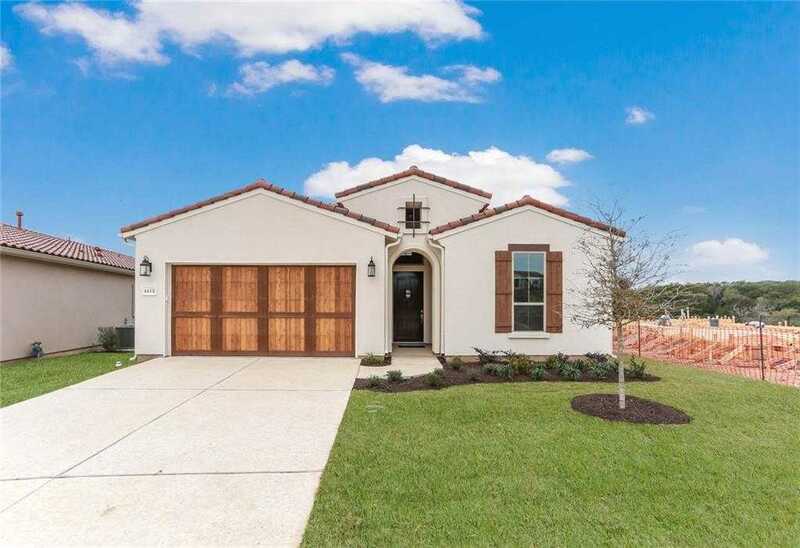 Fantastic single level home in private gated community close to Galleria. Open floor plan with vaulted ceilings & cedar beams. Beautiful kitchen with 66 x201D; cabinets with lit glass uppers. Large master ensuite. Guest quarters with living area. High end details! It x2019;s all about the amazing view! Large back covered patio with outdoor kitchen and fireplace to enjoy canyon views. Front yard maintenance included in HOA. Some pics are of completed home. Ready Now! Please, send me more information on this property: MLS# 5265172 – $719,565 – 4412 Flameleaf Sumac Dr, Bee Cave, TX 78738. I would like to schedule a showing appointment for this property: MLS# 5265172 – $719,565 – 4412 Flameleaf Sumac Dr, Bee Cave, TX 78738.